Long distance identification for parking applications. 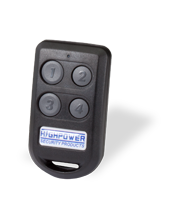 Highpower’s WRT-4+ tag is a four button credential for the Ranger Reader, though it also works as a proximity card for all of our standard proximity readers. The WRT-4+ design is similar to a remote control, and the unit is furnished with a key ring. Pressing a button operates the long-range capability of the tag, transmitting a 433 MHz signal, which is powered by a replaceable 12V battery. If the tag is presented to a standard proximity reader it transmits a 125 KHz signal to the reader, just like a normal proximity card, without pressing the button. The remote will transmit the low frequency signal even when the battery is discharged. The battery is a standard remote control battery and is user replaceable. The remote features quality, long life switches in this remote. Despite this, the four buttons provide redundancy in the case where one of the buttons fails. Buttons 1 and 2 transmit the card ID through output 1 of the Ranger reader/receiver. Buttons 3 and 4 also transmit the card ID through output 2 on the Ranger receiver. 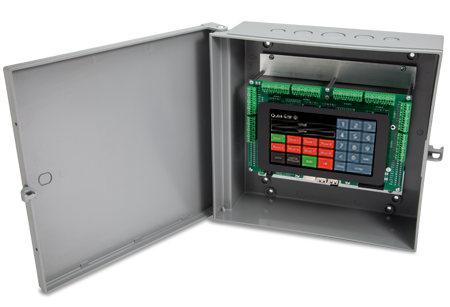 This feature gives you flexibility in that you can use one Ranger remote to control two parking gates with just one Ranger reader/receiver. The 433 MHz long distance signal used by the Ranger system is an encrypted rolling code for high security that is difficult to hack. Since the long-range transmission is powered by a battery, instead of using unreliable passive technology, the unit works reliably in most all environments and installation types. 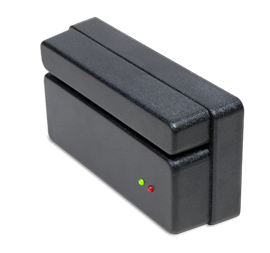 A long-range proximity reader that is ideal for parking garages and other large areas. Card swipe, barcode and prox readers interfaced with a panel or PC. 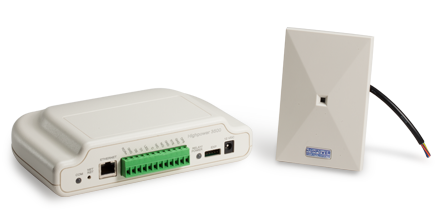 All the items for single door access control, for use with a PC or network. Touchscreen access control panel supporting eight doors per panel.